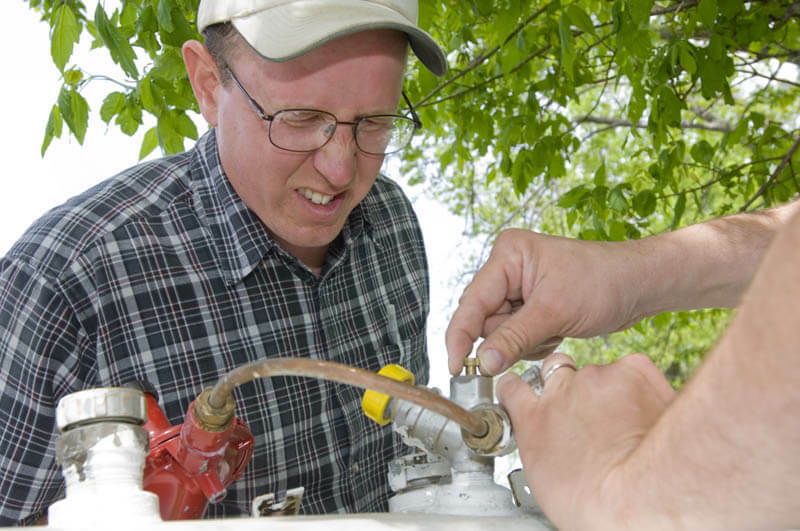 Does your propane retailer provide a FREE thorough inspection, leak test and pressure test of your propane gas system? It is important that your entire gas system be inspected – both outside and inside the home – to ensure that it is working properly and is installed to meet current safety codes. A thorough system check has the added benefit of allowing you to easily disclose to a potential home buyer that there were no issues with the gas system – and if you let your home owner’s insurance agent know you have a current system check, you may even get a premium discount. If your gas supplier just soaps the fittings looking for leaks and says everything is OK, then you got short changed. Deluca Gas will check your system for things like proper line size, appliance shut-offs, sediment traps, proper regulators and gas leaks. We will also do a pressure test and leak test on the system. FOR YOUR SAFETY PROPANE HAS AN ODOR ADDED SO YOU CAN DETECT LEAKS. You and each member of your household should know the smell of propane. Ask your service or delivery technician to demonstrate its odor. If anyone in your household cannot smell propane, or it smells weak, call us immediately. Propane is heavier than air and will collect at floor level. Carefully smell at floor level and in low spots to check for propane. WHAT SHOULD I DO IF I SMELL PROPANE? ❑ Extinguish all smoking materials and open flames. ❑ Do NOT touch electrical switches, light matches or create any other source of ignition. ❑ Get everyone out of the building and away from gas equipment. ❑ Go to a nearby phone and call your gas supplier. ❑ Do NOT re-enter the area until it has been deemed safe. ❑ A trained service technician must repair the leak, turn on the propane, check all propane appliances and re-light pilots. 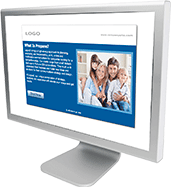 Learn more about Efficient, Safe, Reliable propane. In an emergency can I shut off my propane supply? Yes, turn off the main gas supply valve on your propane tank if it is safe to do so. To close the valve, turn it to the right (clockwise) until tight. Can I turn my gas supply back on again? No. A qualified Deluca Gas service technician must perform a leak check of your propane system before turning the gas supply back on. If a pilot light repeatedly goes out or is very difficult to light, there may be a safety issue. DO NOT try to fix the problem yourself. It is strongly recommended that only a Qualified Service Technician light any pilot light that has gone out. You are taking the risk of a fire or explosion if you light a pilot light yourself. Carefully follow all of the manufacturer’s instructions and warnings concerning the appliance before attempting to light the pilot.